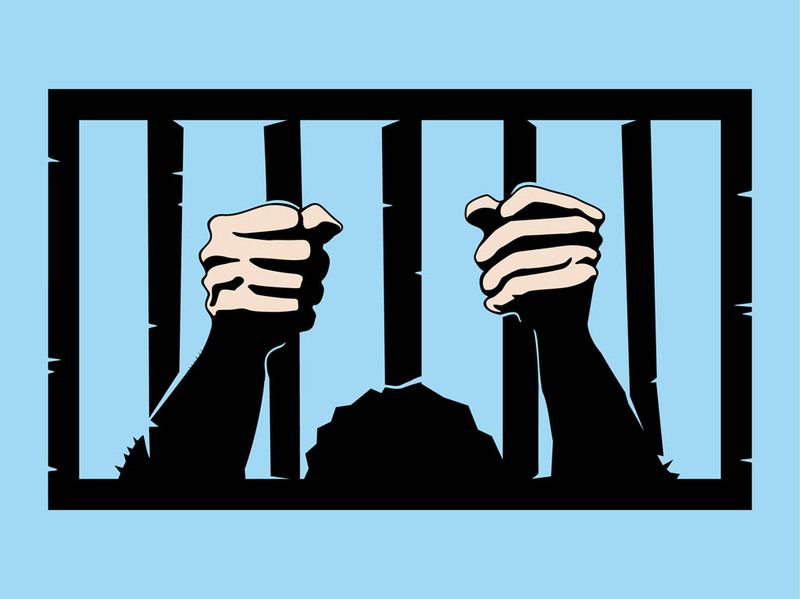 Law and prison vector graphics of a prisoner in his cell. Comic book style close-up vector image of the hands of the man holding tight the metal bars. Free vector footage to create law, criminals, prisoners, prisons, jails, jailbreak, police, cells, crimes, sentences, punishment and security designs. Tags: Bars, Cartoon, Comic, Criminal, Hands, Jail, Justice, Law.